Stephen King's The Dark Tower Trailer | Nerd Much? A new trailer for the The Dark Tower was unveiled last night at the BET Awards and features brief interviews with the stars of the movie, Matthew McConaughey and Idris Elba. Both explain who their characters are, as the Man in Black and Gunslinger Roland Deschain respectively. Stephen King himself also features in the trailer, giving his blessing to the film and commending the actors for bringing his characters to life. Though I don’t find this particular plot of good versus evil very unique, and I haven’t discovered an interest in the books, the way these two actors portray their characters is extremely intriguing. I don’t believe I’ve seen McConaughey in the role of a villain before, and the charisma he gives the Man in Black is heart pounding. 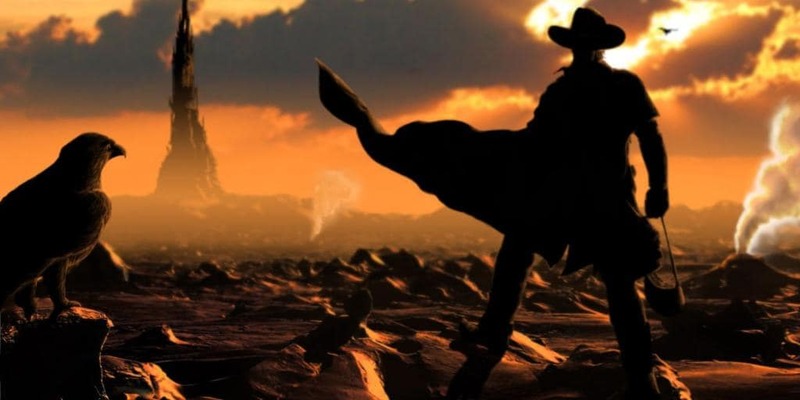 Nonetheless, The Dark Tower is set in a post-apocalyptic world in which the last of the Gunslingers, Roland Deschain, must take down the Man in Black before he destroys the Dark Tower. The destruction of the latter will bring about chaos and doom to our world as we know it, and this struggle between good and evil has been going on for a very long time. To the point where even the Gunslinger himself is disenchanted with the situation when he meets the portal jumping boy. The Dark Tower will be in theaters on August 4, 2017.